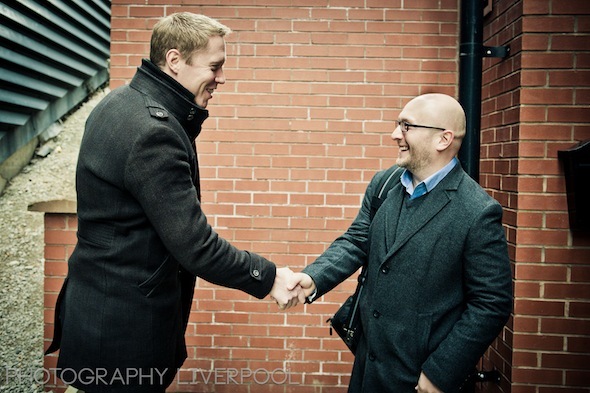 A fews weeks ago we headed to Manchester to photograph Mathew Porter at Lend Lease for a ‘day in the life’ shoot. 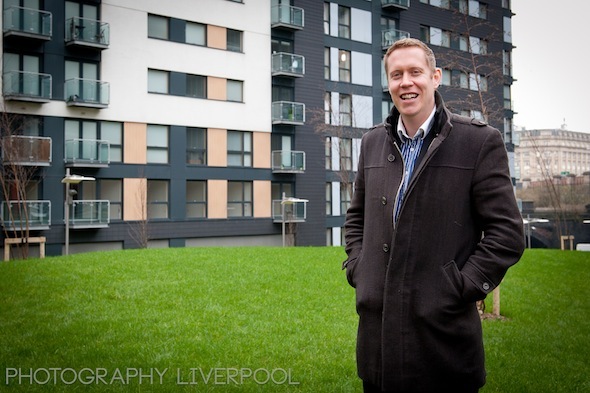 Mathew is a Lend Lease Commercial Manager and has recently completed the Cypress Place apartment building in the Green Quarter complex in Manchester. We started the day photographing Mathew in a “tricky” meeting and continued to get shots of him hard at work completing mid year reviews and going out on site for inspections. It’s never ideal when you have a guy with a camera following you around all day but Mathew handled it well and pressed on with his work – he was a joy to work with and we look forward to seeing some of his future projects. 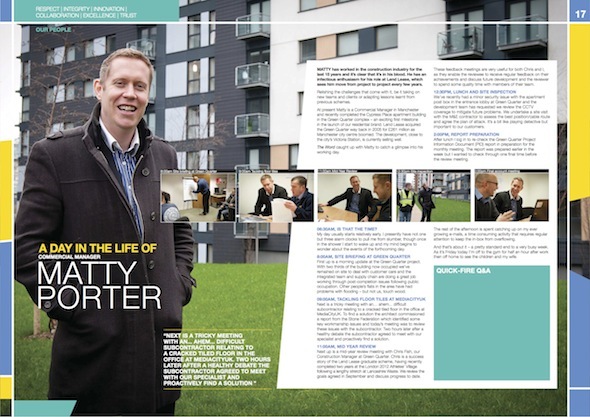 Here are a couple of photos from Mathew’s day and the double page article in the Lend Lease magazine. This entry was posted on Thursday, February 21st, 2013 at 8:32 pm. It is filed under PR and tagged with day, lend lease, life in the day, liverpool, liverpool photography, magazine, manchester, mathew porter, merseyside, photo, photograph, photographer, photographers, photographs, photography, Photography Liverpool, photos, pictures, shaun jeffers, working. You can follow any responses to this entry through the RSS 2.0 feed.